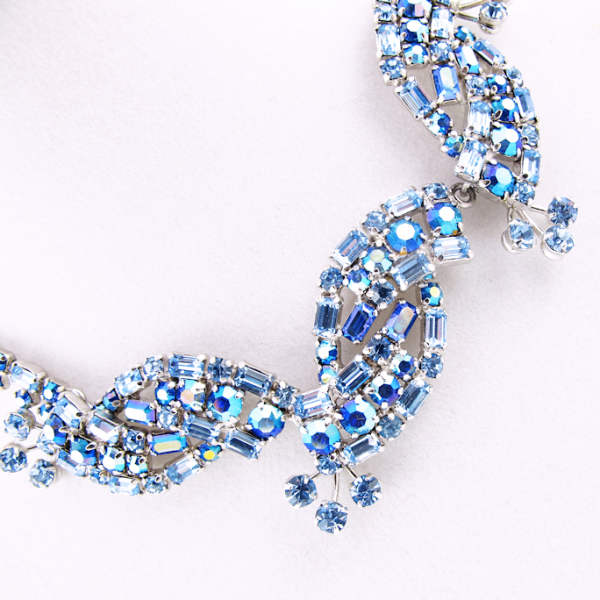 A stunning, sparkling, brilliant blue Sherman necklace! 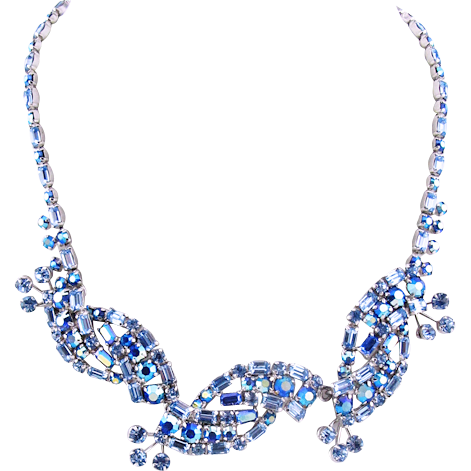 This beautiful brideworthy piece is believed to be an earlier piece by Canada’s premier vintage jewelry designer Sherman! 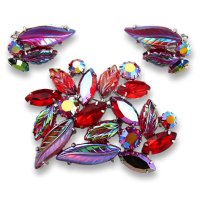 sparkling light blue crystals in baguette and chaton shapes are accented by darker blue aurora borealis Swarovski crystals. The design is three central swirls with little sprays coming from them. 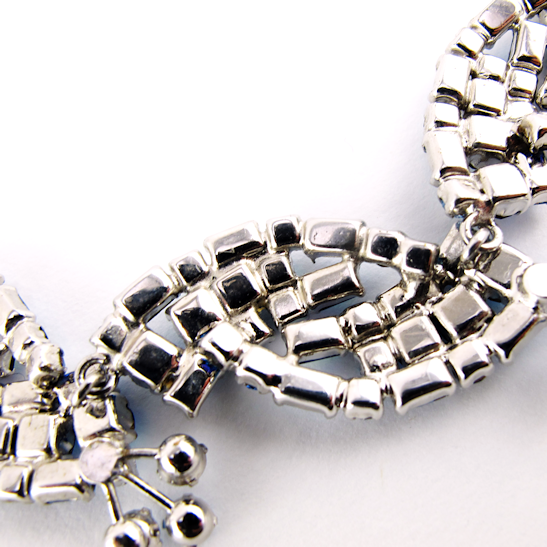 The chain element is made entirely of crystals and is adjustable to different lengths. 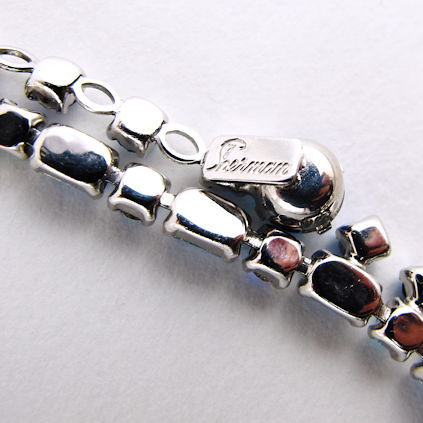 The metal is heavily rhodium plated so it will never tarnish. Sherman is well known for exceptional quality. 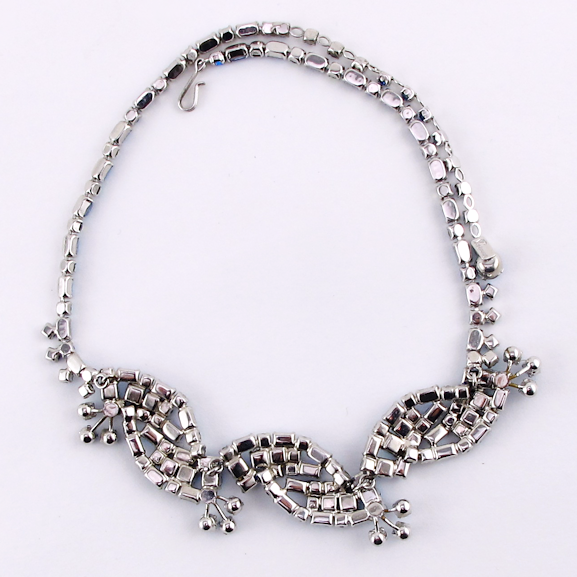 This 1950s necklace appears to be in the same condition as the day it was made. It closes securely and easily with a J-hook clasp. 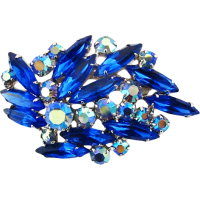 Perfect for the bride on her wedding day or any special occasion requiring a bit of vintage sparkle. We strive for accuracy in all our descriptions! We do our best to state any flaws and describe items accurately. Contact us for layaways or combined shipping!